How has your March been? Been up to much? My March has been full of college assignments, work and reading, so not much different than last month. I've read some great books this month and I can't wait to share them. 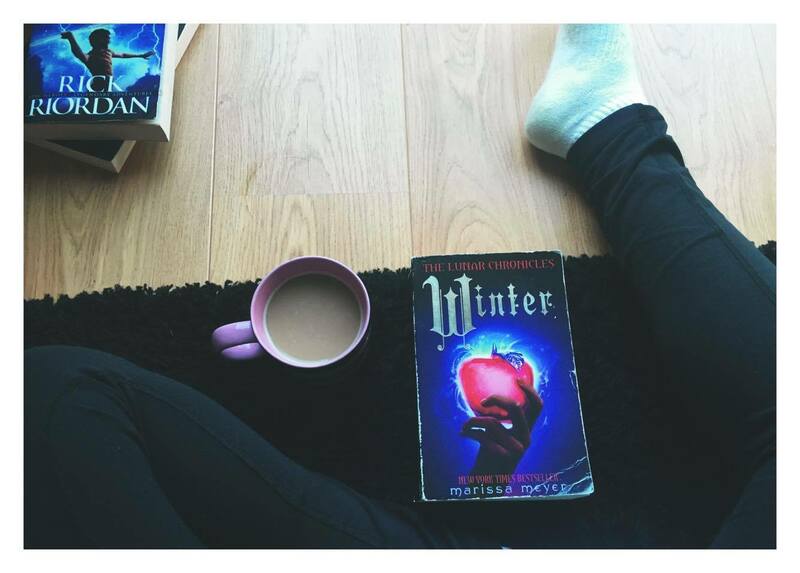 One book I loved and finished this month was 'Winter' by Marissa Meyer, definitely one of my favourite book series I've read this year. Also, I've taken photographs of the books I've finished this month instead of using the cover photos, I think I prefer how it looks, what do you think? I can't believe this series has come to an end. I loved this book, there really wasn't any downside to this book (other than the length, which is why I gave it 4 1/2 stars and not 5). I loved seeing how this story concluded and where everyones story led, there was also so many emotions thrown in to this story which just made the story even better. I don't want to say too much as this is the final book in the Lunar Chronicle series and do I don't want to spoil anything but if you haven't read this series yet, I definitely recommend you do as it's brilliant. Check out my book series review on The Lunar Chronicles here if you haven't seen it already. I was really excited to read the sequel to 'Dorothy Must Die' this month and I wasn't disappointed. 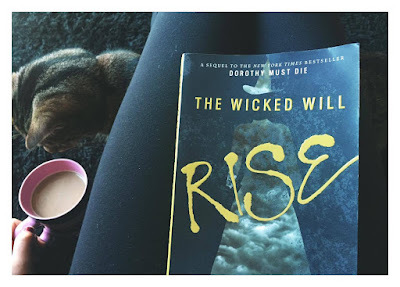 'The Wicked Will Rise' was a fun read, there was so much world building as we saw lots of different places within Oz and the descriptions were great. It really helped when imagining them. Amy Gumm's character really grew through this book as she was put in situations where she had to make the full decision. The only think I can say about this book, is that I got quite confused near the end so all I hope is that answers will be shared in the final book! If you want a full review on this book, then you can read my one here! 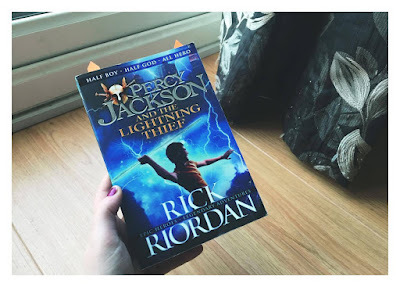 This month, my friend and I decided to buddy read 'The Lightening Thief' which is the first book in the 'Percy Jackson and the Olympians' series by Rick Riordan. 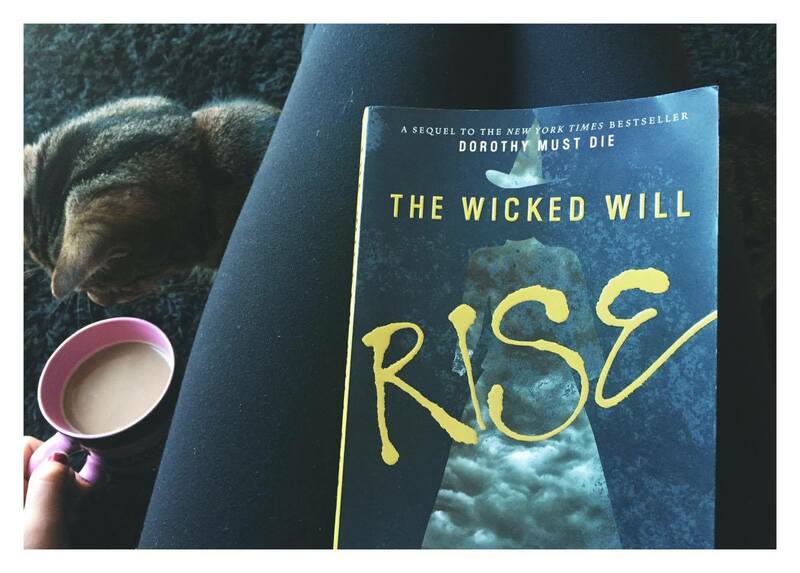 I thoroughly enjoyed the first instalment to this series and I'm looking forward to reading the next book. I'll be uploading a better review of this book soon, with a review from my friend too! So keep an eye out for that. 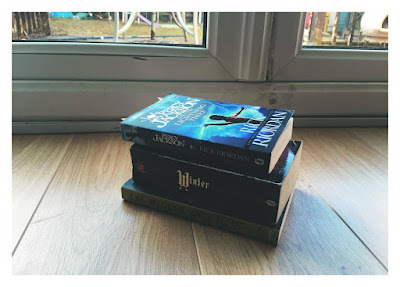 Like I said in my 'small changes' post, I'm trying to not stress myself out when it comes to reading many books within a month as with college coursework and work in general over my head, I don't need the added stress (and reading should be fun, not stressful! ), so overall I am happy with what I've read this month and I can't wait to continue with reading some more amazing books! Sounds like a great month for you. :) Can't wait to read your review of The Lightning Thief. I loved the entire series! Soon I'm going to read The Olympians.